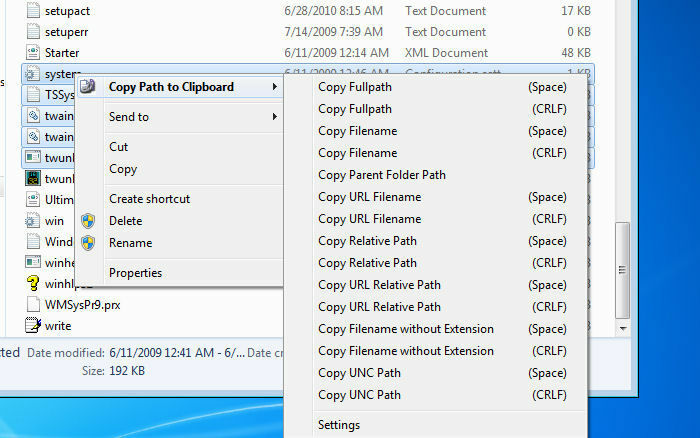 Copy Path to Clipboard adds a right-click option to copy the path to files, URLs etc. Free download application features.If multiple files or folders are selected, then you can create a list, either space or new line character separated of the paths. Free download application features.Copy the path in URL format relative to another base directory (e.g. your site root directory). Free download application features.Copy the path that shortcut files are pointing to. Free download application features.Copy the UNC path of remote files or folders.